A fee, not a ban. Stores in Dallas will charge customers five cents for most kinds of plastic or paper carryout bags, under a measure approved Wednesday by the City Council. At the urging of council member Dwaine Caraway, the council voted 8-6 to assess an “environmental fee” for single-use carryout bags. The five-cent charge takes effect Jan. 1. Single-use bags will be banned entirely at retail outlets in city buildings and at city-sponsored events. The ban apparently would apply, for example, to gift shops at city-owned museums, American Airlines Center, even the Omni Dallas Hotel, which adjoins the Dallas convention center. Caraway has complained for months that plastic bags, in particular, were creating litter problems throughout the city. The Texas Retailers Association opposed the bag fee, even though stores will keep 10 percent of the money they collect, and even though the measure approved Wednesday is less stringent than the outright ban on single-use bags that Caraway originally sought. Gary Huddleston, a member of the association’s executive committee, said the fee will be burdensome to stores and customers alike. “We personally believe the solution to litter in the city of Dallas is a strong recycling program and also punishing the people that litter, and not punishing the retailer,” said Huddleston, director of consumer affairs for the Kroger Co.
City officials said the money collected from the bag fee will go toward enforcement and education efforts. Those efforts could cost $250,000 and require the hiring of 12 additional employees, said Jill Jordan, an assistant city manager. After the council vote, Huddleston would not rule out a legal challenge by the retailers association. Texas Attorney General Greg Abbott has already been asked to weigh in on the legality of Texas cities’ banning of single-use bags. Council member Sheffie Kadane, who opposed the five-cent fee, said the city can almost count on being sued by retailers or plastic bag manufacturers or both. See here for some background on the debate in Dallas. As you know, AG Greg Abbott has been asked for an opinion about the legality of municipal bag laws. This opinion was requested by State Rep. Dan Flynn, on behalf of the Texas Retailers Association and its CEO, Ronnie Volkenning. The Trib reports on environmental groups responding to this request. 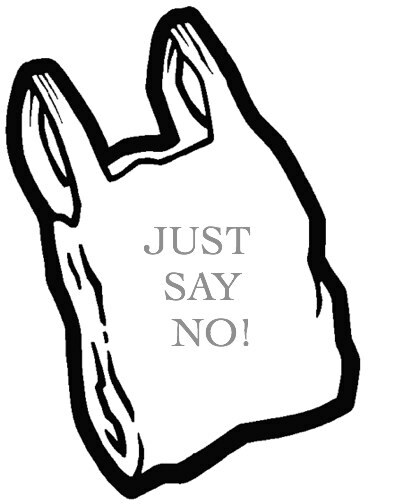 Supporters of the ordinances say plastic bags harm the environment. The Texas Campaign for the Environment has been one of the most vocal supporters of the ordinances. “We want the attorney general to stay out of this issue altogether,” said Robin Schneider, the group’s executive director. The Texas Municipal League was the first to submit a brief to the attorney general’s office. The brief included a statement from state Sen. Kel Seliger, R-Amarillo, from 2011 in which he argued for local control over the issue. “For the state to determine what a city’s problems are or solutions that it may have or may not have is a little bit of an overextension of the Legislature,” Seliger said. Because the cities are responsible for supplying plastic bags, they should be able to determine if they wish to ban them, he said in an interview. “They spend much more time as garbage than they do as carriers of groceries anyway,” Seliger added. The Texas Municipal League argued in its brief that a plastic bag should not be classified as a “container” or a package” — the two words specifically mentioned in the Heath and Safety Code. “A plastic bag is not a container or a package, but merely the means by which a container or a package is transported,” the brief said. Volkening said the most environmental position would be to encourage the recycling of plastic bags, not banning their use. That may be Volkening’s opinion, but as you may recall from Tyson Sowell’s guest post here, groups like the Texas Campaign for the Environment think the ban is the way to go. In fact, they’d push for a ban on paper bags as well. Regardless, I like Seliger’s statement, which you would think would be appealing to conservatives. And it is for many, but there’s a significant number for whom local control is only for policies they like. We’ll see which group is happy with Abbott’s forthcoming opinion. Gee, instead of punishing everyone with higher prices and more inconvenience, how about Dallas and other cities that think this is a great idea start ticketing people who litter, and use that money to pay for litter abatement? Maybe force those that are caught illegally dumping and littering to actually go out and pick up trash? Sounds like Mad Mothers….punish everyone for the sins of a few.